“Do you think I should go for it?” I ask my mom after a lengthy explanation of why I may be just barely worthy enough to consider it, already cutting myself off at the knees in protection of something I don’t even fully understand. Am I afraid of appearing assumptive to join the company of those that have achieved such success in their labor? Is it in defense of my own lingering insecurity of writing and sharing what is inside, suspecting it falls short? Is it even possible that I’m shrinking myself a bit to remain in a safe place, under the radar, evading obligation to fully show up and be forced to confront the power of potential? I am half hoping for a particular answer from her, and scared of it at the same time. It just feels like something that has crossed my wild and crooked path for a reason, I explain. I want the second chapter of Life to count in big ways. I want to rise sturdier than before the crumble. I want to look back without a shred of regret. I want to bloom and not shrink. I promised myself to do Big Scary Things. Forever. She tells me I should go. She believes in me. She will talk to me out loud about what she draws from my writing and she has no idea how much courage that bestows. She encourages me. It’s been said that courage is to tell the story of who you are with your whole heart. It’s true. In all we do we are telling our story. I’m starting over from scratch in many ways, not as a team but as a single woman really quite unsure of what my tomorrows will look like, but very certain of how I want them to feel. Judged from the outside by many, I’m sure, the decisions I make may seem unconventional. There will be times throughout your growth and change when others may feel a bit uneasy as you challenge what they have come to expect as “you”, what is familiar. It used to make me uncomfortable, doubtful. I finally decide to fully embrace not caring, that it’s all relative and that honoring your story each step of the way will bring you to your best tomorrow. Your authentic self hasn’t changed, but your world has. I crashed with a stranger friend the first night on a neighboring island. We met online in this amazing, artistic web of women on Instagram. Calling such connections friends can bear hesitance, but the label “stranger” was so far from the truth. There I stood on the sidewalk at a ferry station with my suitcase under a streetlamp waiting for her to arrive. She invited me into her family home and it felt just like that. I woke to posters on the wall and a small shelf displaying bottles of vibrant colored nail polish in her pre-teens bedroom the following morning. She and her daughters crowded in the bathroom singing to the radio together and fixing hair for the school day ahead. Theirs is a home. 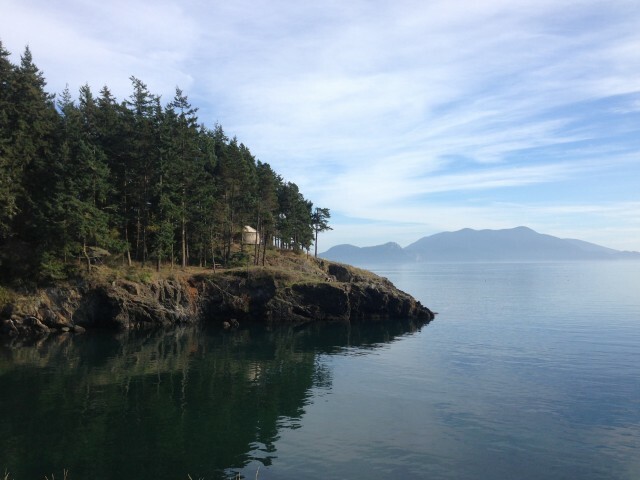 Our days at Doe Bay were spent as a group, spread casually around the living area of a large retreat house. Each of us so different. Each of us the same. Just beautifully broken enough to have accumulated rings of life and reincarnation, like old trees with growing wisdom. A common thread weaves our stories together at the core. We are bonded by our presence having listened to the calling of a voice from inside; the itch of curiosity and possibility, a two-sided flutter of emotion. We listened to the truths of beautiful writers and musicians. We drew inspiration from their words and put them to practice in quiet spaces around the room. Brave souls shared their work. Sharing hard stories, holding hard stories gifted by others. I saw a song written right in front of me. After the lovely and organically talented Erin Austin of OK Sweetheart lead us through a writing exercise, she chose the penned lyrics of a participant’s song that represents the profound change a child brings into a family, a life, a home. To watch Erin break it down to the ground and build it back was nothing short of magical to me. It was as if she zipped open her very being and let us in this sacred space to watch the gears spin. It was one of the more intimate artistic experiences I’ve witnessed in person. The scope of the room included dropped jaws, a few teary eyes, and single cuss words dropped with no needed explanation or apology. Sometimes something is so powerful that no other words will do. She reminded me that the process is messy, non-sequential, and different for everyone. Rewrites and do-overs are real and often necessary. She emphasized the power of showing up. These words continue to emerge around me, spoken by many I admire, so versatile to the challenges we face. Together. It’s what I’m doing here. Show up. Just show up. Placing feeds to faces fed my curiosity. 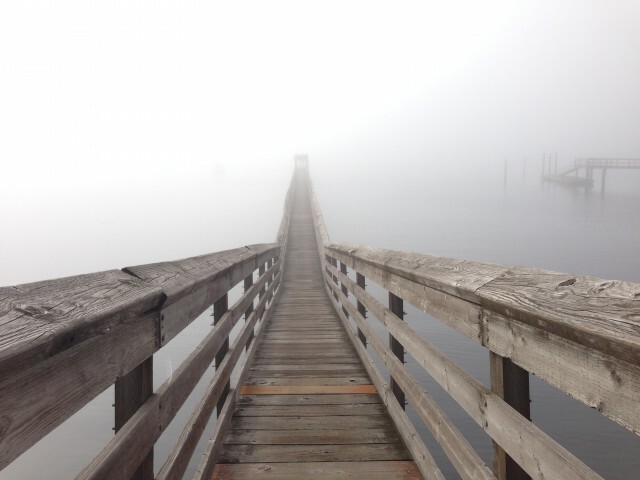 Arriving at the point where perception ends and reality begins. I make friendship and connection tangible with a few souls I’ve never met but have watched their lives unfold in two-inch square pictures laced with unique voice and perspective. I am deeply moved by solidifying the relationships developed from a distance. Words made us friends, faces made it final. Intimidation was quickly squashed. I wrestled the temptation to hide a bit in myself, behind others, and I won. Pedestals became accessible. There is beauty in recognizing a shine in yourself in an environment and around company in which you may have needlessly assumed yourself a dimmer light. I feel a significant and permanent shift within. It was on my bucket list, jumping into the sea. I had watched two delightful souls carry this ritual on the first of every month for nearly a year before, daydreaming I was there with them. After exchanging antique keys and trading intentions we held hands, this long string of new friends, and plunged into the icy sea together. I will never forget that. I booked a yurt for the last night in the moss wrapped woods of the island. It sits on the point of a large bluff at the sea’s edge. I wanted time alone to decompress, to process, and to dream. I find transition to be an important part of my presence. Perhaps I wanted to prove something to myself, too. That living requires going outside of your comfort zone, hiking uncertain, low-lit paths, resting in unfamiliar shelter. Adventure reminds me that I’m alive and fills a reserve to draw from when other forces drain me. I left a token behind; one I made by hand, painted in preparation. It sits in the moss full of my intentions, my thoughts. These tokens have grown into tradition for me. I remember being a young girl riding horse with my mother in the Black Hills of South Dakota. She converted a van into a makeshift camper with foam beds in the back and hung fancy hand-sewn curtains over the windows. She scrounged and exhausted her resources and ingenuity to make these trail riding trips possible for us. She reminded me that on one particular trip she left small clay stars, like those of a cowboy vibe, in the thick woods that we trailed through on horseback. I wonder if they were every spotted. I love the idea of leaving a slice of myself in a place that has transformed me. There is a bit of magic in the idea that a connection exists from afar; that I must only think of the spot where the buried treasure lies to wake the emotion tied to it in that moment. I like to ponder its path, its story. Perhaps someone will discover it bringing a little magic to their day. Perhaps. 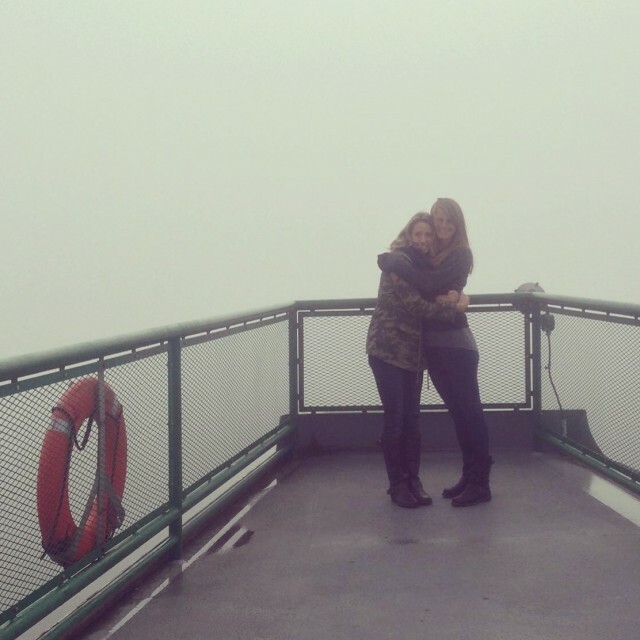 Like finding a pot of gold at the end of a double rainbow, I watched an orca whale breach from the ferry back home while engaged in rich conversation with a new friend. I couldn’t have written that moment any better myself. I left changed in big ways. I left with gifts that I’m still trying to unwrap and digest. I left with a strengthened ease in this place in my life. I left with an energy to move forward and in which ways, well that is still unraveling. 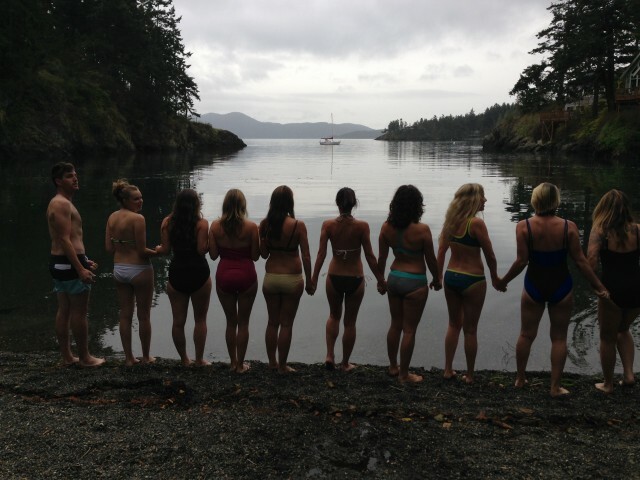 I am genuinely grateful for each and every person that traveled to Doe Bay with me. Whether you believe this or not, you each shed light on something for me during that visit. You confirmed or dispelled assumptions or beliefs or fears or aspirations in just the right way. You inspired me in ways I’m having trouble describing, yet I could write a chapter for most of you. You were part of kindling a fire that I’m ready to explore in newly comfortable and brave ways. You never know who needs a little sliver of your story to help round out theirs. I sat down to write you an email and found this post in my mailbox. What a gift. 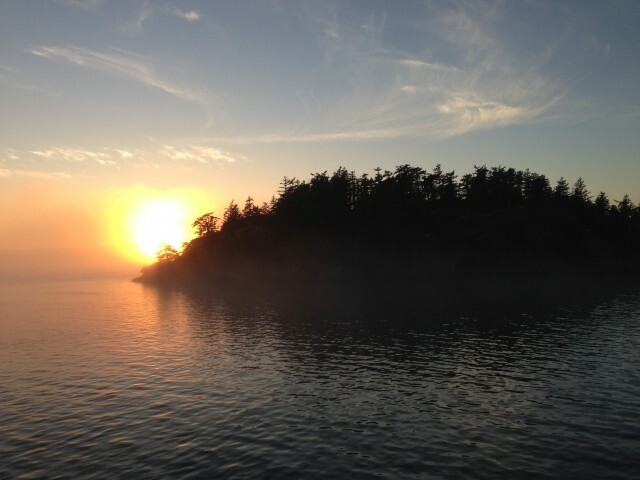 I sit here now, my eyes brimming with tears as you’ve so eloquently described your Doe Bay experience and I can relate to much of it. Oh. I relate to so much of this. Just beautiful. The last line. Yes. Wow. What a gift you have. Loved this, Jessa. I sense a change in your writing, so very apparent, yet subtle at the same time. Beautiful. I love your style! And this inspiring content. So happy we met on that sleepy island.